Commercial Drive is the main artery of little Italy here in VanCity. It’s got copious caffeinated coffee shops, fantastic restaurants and great grocery, produce and deli shops all offering the best in local and foreign cheese, meats, bread and beans, coffee beans that is. With over 100 restaurants and cafes from Venables to the north and 12th Ave to the south, Commercial Drive isn't just Italian anymore. It’s got flavours from around the world including Cuban, Thai, African, Japanese, Chinese, Indian and even Nepalese. Weather you want to eat out at one of the many restaurants or pick up some fresh ingredients at a nearby market you’ll never go hungry on The Drive. Commercial Drive is home to many festivals throughout the year including informal and boisterous soccer tournament street parties and ever popular events including car-free day, Illuminares (lantern festival) and the Parade of Lost Souls (Halloween carnival). Music, dance and theatre flood the streets and hundreds flock to enjoy the hip upbeat atmosphere on sunny summer days. Transit to and from Commercial Drive is simple. 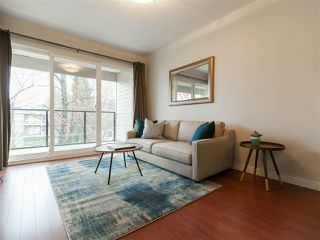 With well established bus routes running both north/south and east/west plus two sky train stations at Commercial and Broadway you’re only minutes away from downtown, Burnaby and other surrounding areas. Smack dab in the middle of The Drive is Britannia Community Centre. This thriving and vibrant community centre includes a library, ice rink, swimming pool, park, gym, fitness centre and much much more. It’s programs and amenities are varied and diverse, much like the folks who live here. To the south of the Commercial Drive area is a quite and picturesque park and community centre, known simply as Trout Lake. The lake itself, is surrounded by a quaint footpath, park and picnic area, much of which is dog friendly. The newly renovated Community Centre has a wide variety of programs and facilities including a state of the art ice rink. Trout Lake sheds its quite reputation and bustles with local fair and flair Sunday mornings during the summer months for the cherished and much-loved Trout Lake Farmers Market. Locals gather in droves at the market to pick up local groceries and goodies for their week ahead. Welcome to Commercial Drive; you’re home with an abundance of culture, community, cuisine and coffee!